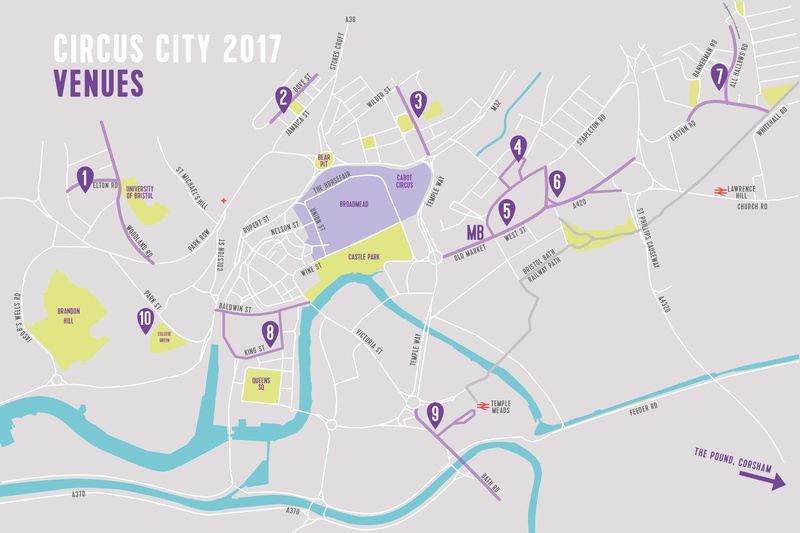 Most venues are based around the city centre, no more than 30 minutes walk from Temple Meads station. We encourage cycling to our venues. We are working towards making Circus City accessible for all. If you have any access requirements or suggestions we would love to hear from you and will try our best to accommodate your needs. We are holding 2 x Relaxed Performances (for Around 2pm on Thurs 26 and He Ain’t Heavy 3pm on Wednes 25). Relaxed performances are created to be a more relaxed presentation of a show, with adapted sound and lighting plus increased wheelchair capacity. Patrons with a learning or physical disability, autistic spectrum condition, or sensory or communication disorder are especially welcome.